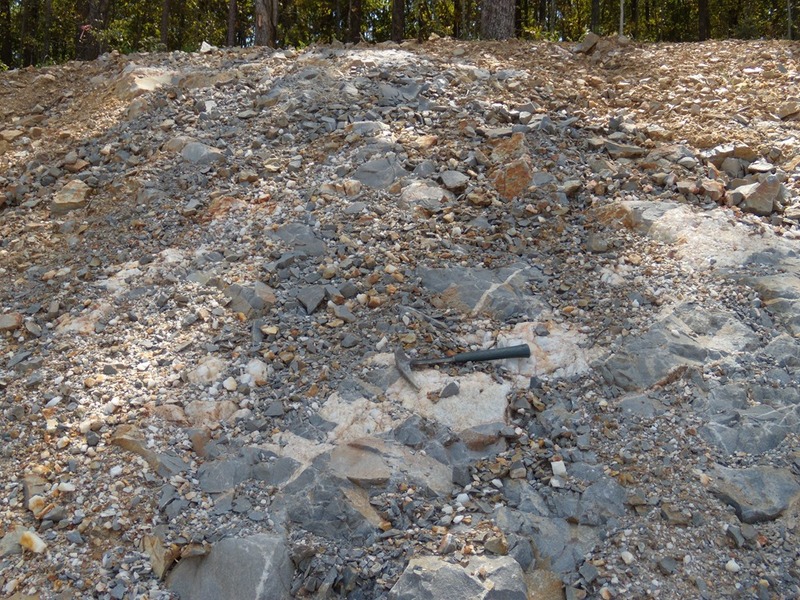 Pictured above is about all that remains exposed of the rock outcrop that is the namesake of the capitol of Arkansas, La Petite Roche or The Little Rock. The outcrop was given its name by early french explorers to the area who first arrived in 1722. Though unimpressive in stature, it is notable because it is the first exposure of solid rock that one sees when navigating up the Mississippi and Arkansas rivers, starting at the Gulf of Mexico. 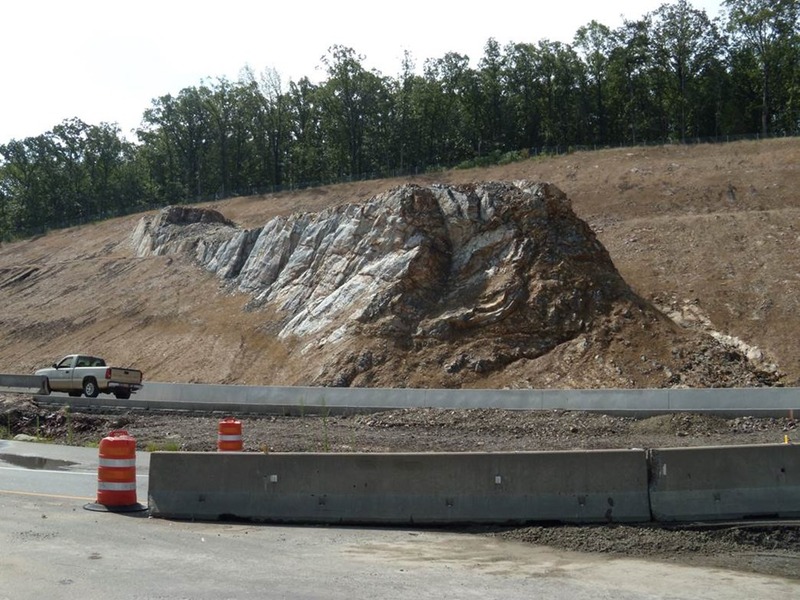 The geologic explanation for this is simple; The land between New Orleans and Little Rock Arkansas along that route is in the Mississippi River Valley, where the bedrock is buried beneath river-lain and wind-blown sediment. The city of Little Rock straddles the boundary between the lowlands of the Mississippi River Valley and uplands of the Ouachita Mountains, which stretch west well into Oklahoma. Therefore this little sandstone and siltstone outcrop marks that physiographic boundary. If you boated all the way from New Orleans to Little Rock without seeing a single rock you would probably be impressed by it too. 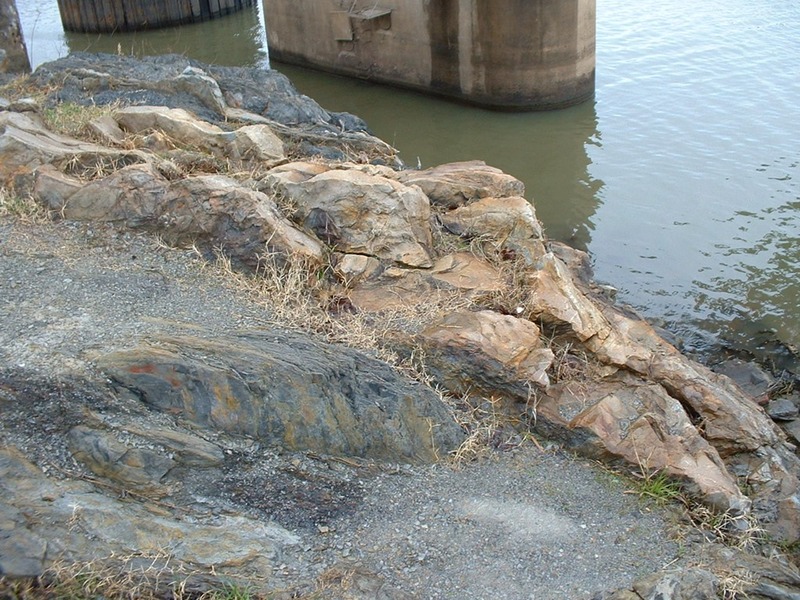 This entry was posted in #geoblog, GeoPic of the Week and tagged #geoblog, geographic interest, history, La Petite Roche, Little Rock, Pennsylvanian, sandstone on November 13, 2014 by argeology.